For those of us coming from the Windows platform, that have used the Image Resizer PowerToys for Windows XP (yeah I know: from way back in the day), here a free application for MacOS X users to have that same functionality as well. Simply right click an image, choose the desired size and your images will be resized automatically without modifying the original file. Back in the day, my favorite PowerToy was the Image Resizer. PowerToys were small applications offered for free by Microsoft offering slick and easy to use “toys” that could make your daily work just easier. 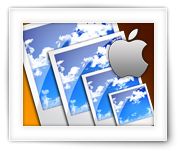 The Image Resizer allowed quick resizing of pictures, something I still miss as a standard part of Windows 7, Windows 8, and yes also under MacOS X. The indicated pixels is the maximum width and maximum height. When resizing a picture, a copy of the original will be made, with a prefix in the filename to indicate it’s new size. The original image will not be modified, and the new image will be stored in the same format – so JPEG remains a JPEG. 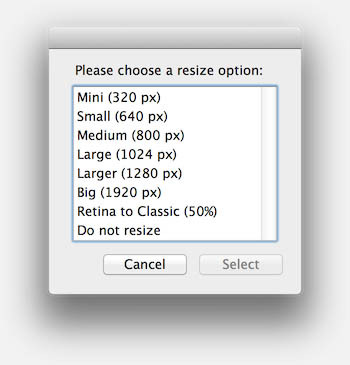 If you selected “Do not resize”, no extra files will be created of course. After resizing you can optionally choose to have all these resized image to automatically be attached to a new email, making it easier to quickly send some (optionally) resized pictures to friends or family. I made a small installer (4.3 Kb!) that will install this tool as a service on your Mac. 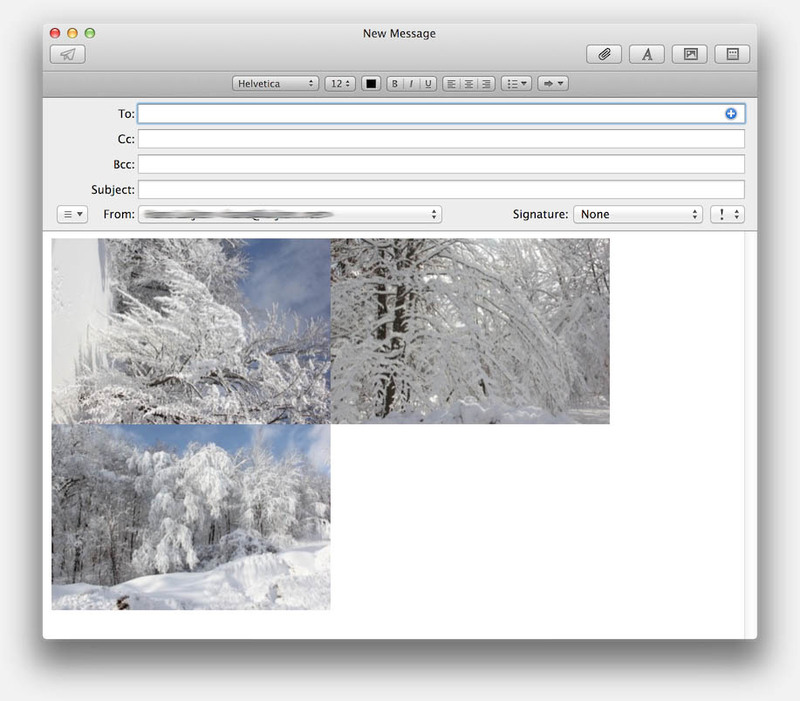 This version however will NOT work with MacOS X v10.10 (Yosemite) – In Yosemite the Mail.app icon has changed named. Yosemite users download the version below that. The installer works like any other installer on the Mac, and the script will be copied in the /Library/Services directory, so it will be available for all users. 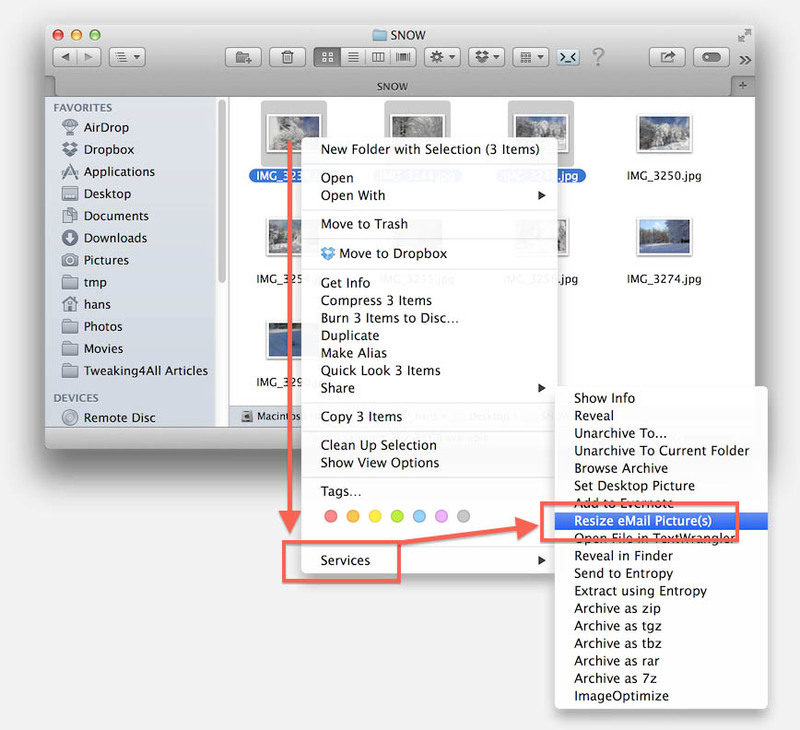 To remove this application, simply delete the file Resize eMail Picture(s).workflow from the /Library/Services directory. Using this service is simple: right click one or more images and select from the “Services” menu the option “Resize eMail Picture(s)“. A small window will popup allowing you to select the desired maximum resolution. The option “Do not resize” allows you to attach one or more images, unaltered, to an email. The “Retina to classic (50%)” option resizes a Retina screenshot (for example) to the regular non-Retina resolution. You can double click the preferred option, or single click your preferred option followed by a click on the “Select” button. Each selected file will now by copied and resized (unless you choose “Do not resize”). Depending on the selected size, a prefix will be added to the file name so you can easily identify the ones that you’ve resized. 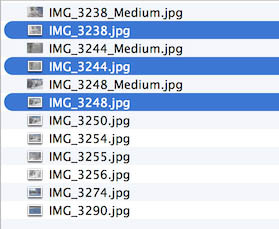 I selected 3 files and had them resized to “Medium”, which resulted in 3 copies with the prefix “Medium”. The original files remain untouched. After making your selection a dialog will popup, asking you if you’d like to attached the resized (even if you picked “Do not resize”) to a new email. If you select “Yes” (default is “No thanks” which will be selected when you press the Enter key), a new email will open with the pictures attached to it. Would you like to attach the resized images to a new email? 11.05 How to edit Crontab under Linux, MacOS X, QNAP, etc. There are 2 comments. You can read them below. In Yosemite, Apple decided to change the icon location/name, which causes an error message. A specific Yosemite (MacOS X 10.10) is made available under the downloads in the article above. Great resource when you're looking for alternatives for an application that you'd like to use, but might not be available on your platform or the application you have is just not doing it right. My other home-town ... love living there! Osceola rocks! KODI (XBMC) is probably the best media center application out there, suitable for multiple platforms.